When applied to our thick and indulgent 38pt black orange black triplex cardstock, our Locusus template becomes the picture of elegance. 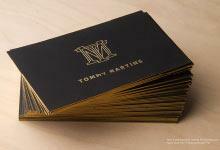 Matte gold foil on the front is balanced by matte silver foil on the back of the card, whilst matte gold foil stampinghas also been applied on the back to maintain design continuity. With ample room to include your logo and information, this card template is an excellent option for restaurants or office businesses.Smooth and lush, this layout effortlessly crafts an impression of high-end quality and class. 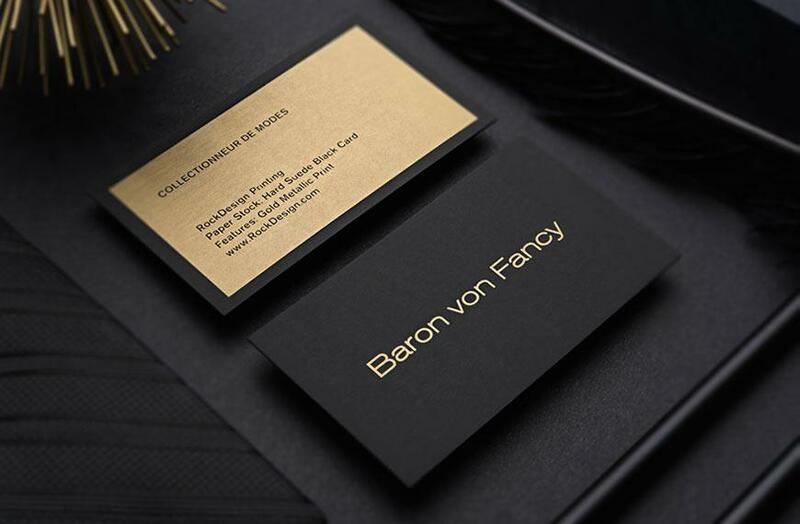 By combining the sharpness of the foiling with the plush materials the cards have been crafted from, a striking and incredible composition has been achieved that exemplifies the finesse and sophistication of your company. This magnificent card features a rich design that ensures recipients recognize your business as one uphold values of excellence and high standards. With three layers of customizable cardstock, our triplex uncoated cardstock is a thick and luxurious way to portray your business’ success. This business card is 38pt thick and comes stock in the colour combinations of Black/Red/Black, Black/White/Black, and Black/Orange/Black or for a surcharge can be customized to be a combination of any of our colour cardstocks for a surcharge. 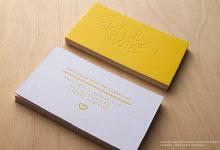 Our ultra thick triplex cardstock is ideal for foil stamping and debossing. 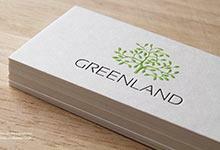 Embossing, metallic ink and thermography are also print options for this cardstock.